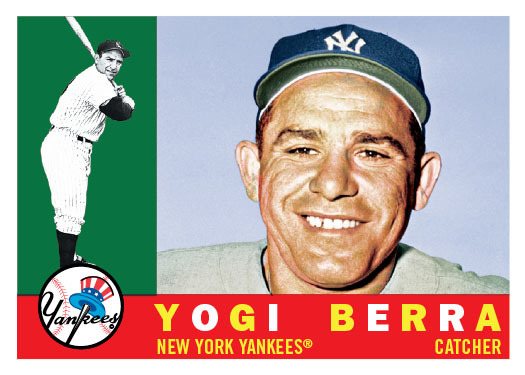 The 2010 Topps VIP set continues a long-standing tradition of creating a 50th anniversary version of cards for National VIP's. The 5 card set will be numbered consecutively from card #573-577 as a continuation of the original 1960 Topps set. As in the past, VIP's will get 4 card packs as part of their VIP gift package. 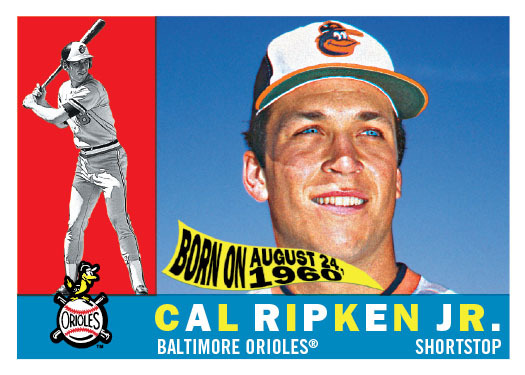 The highlight of the 2010 set is a 1960 Topps Cal Ripken "Birthday" card commemorating Cal's 50th birthday on August 24th. This will mark Ripken's first appearance in a Topps National VIP Set and is sure to be a big hit with Orioles fans at the National scheduled for its first ever appearance in Baltimore at the Baltimore Convention Center, August 4-8, 2010. 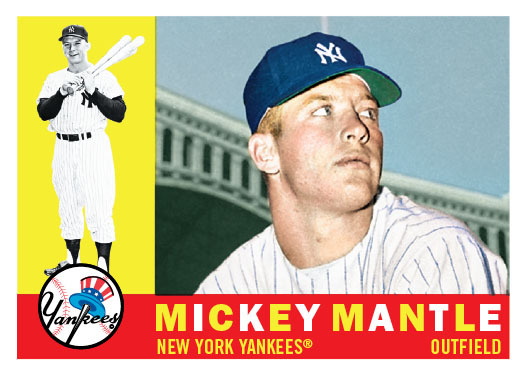 As part of the set along with Ripken and also continuing a National tradition, will be two different Mickey Mantle cards. Two Mantle cards assures VIPs that every pack will have at least one Mantle. 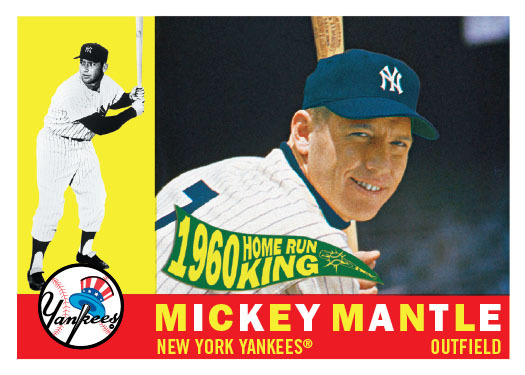 One card will be a traditional 1960 Topps style card while the 2nd will feature an entirely different pose and highlight Mickey as the 1960 American League Home Run King. 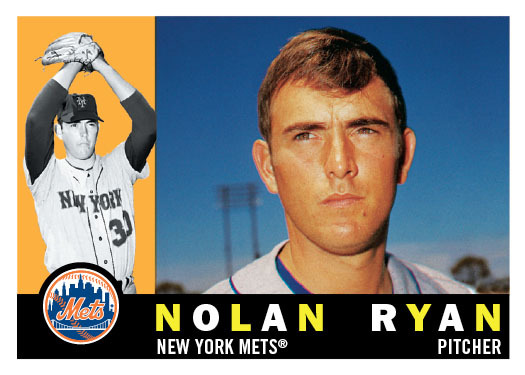 Rounding out the set will be two Hall of Famers, Yogi Berra and Nolan Ryan. VIP Registration Packages for the 31st National Sports Collectors Convention at the Baltimore Convention Center, August 4-8, 2010 are now on sale here on the National's web site. Click here to purchase tickets.